How much forex can I bring into SA? 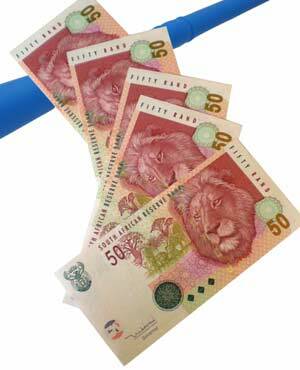 What is the most affordable way to move money from South Africa to Australia if you are emigrating? Take money over using a world traveller card, or first open an account in Australia and send the money via PayPal or bank transfer or use a company like 1st Contact Forex? Firstly, when emigrating there are certain processes you should follow to place your emigration on record with the SA Reserve Bank (Sarb). The reason for doing this is that the funds you then take can always be repatriated back to SA if you were ever to choose to return. There are many different way to transfer your funds abroad. If you already have a bank account with an Australian Bank, then you can simply do a telegraphic transfer in AUD into your account. However, if you need some cash to tide you over for the first few weeks before you get all your finances settled, then, yes, a World Currency card is great way to take over some currency that you can use before you get all your accounts operational. It will allow for travel related point of sale payments and easy ATM cash withdrawals at any Visa merchant or ATM. Using some of the other non-bank service providers may involve more complicated payment streams and this may also cost a bit more and take longer for funds to be transferred. Lastly, if all your funds are not available when you first emigrate, then a bank can hold blocked funds in an account here and transfer the funds at a later stage, as long as you have placed your emigration on record with Sarb before you leave. As foreign exchange specialists, Bidvest Bank has an experienced team, who could, for instance, assist you in putting all the necessary plans and processes in place and assist with Sarb requirements, to easily and cost effectively facilitate the transfer of your funds overseas.